While travelling in Mississippi we often came across various sites which were not directly connected to the blues but which we found to be interesting. So we’ll gradually be adding these sites on this Interesting Connections page in case any of our readers want to check them out. Here are some of these Interesting Connections we came across. We will be adding more of these Interesting Connections in due time. The facade of the Lorraine Motel where Dr. Martin Luther King Jr. was shot. 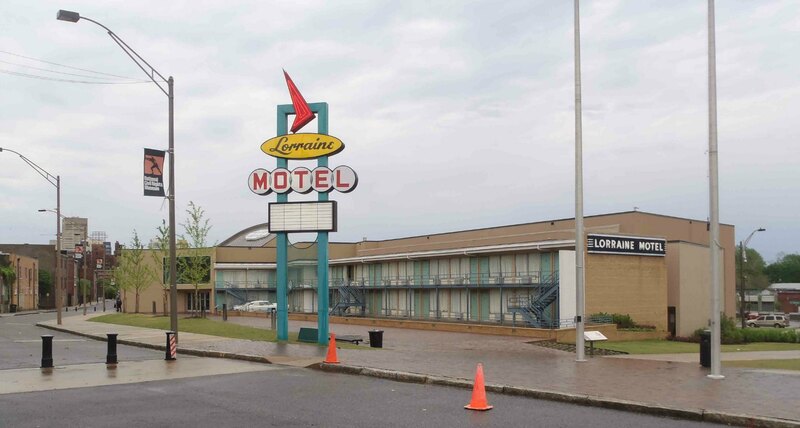 The Lorraine Motel is now part of the National Civil Rights Museum. St. George’s Episcopal Church, Clarksdale. Tennessee Williams spent part of his childhood at this church during the sixteen years his grandfather, Rev. Walter Dakin, was Rector of St. George’s Episcopal Church. St. Peter’s Episcopal Church, Oxford. William Faulkner was a parishioner of this church. Tutwiler Funeral Home – where Emmett Till‘s body was prepared for transportation to Chicago in August 1955. 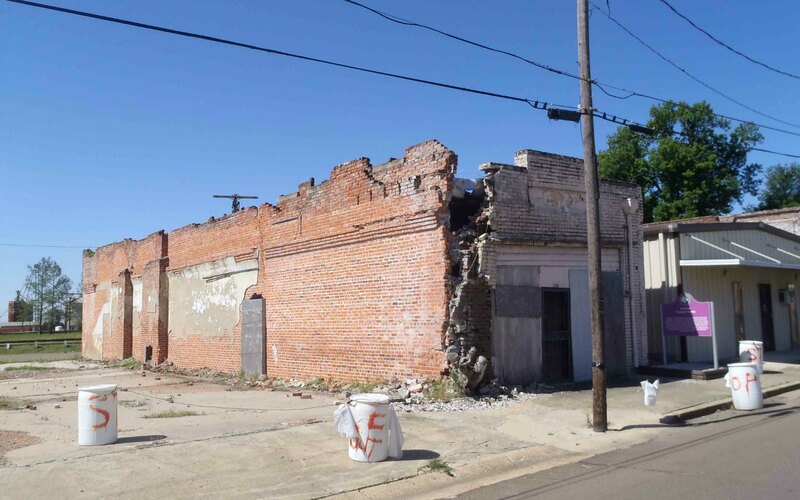 The front and side of the former Tutwiler Funeral Home, where Emmett Till‘s body was prepared for transportation to Chicago in August 1955.